It doesn’t matter what stage of your life you’re in, your family will always need some estate planning. Everyone has an estate. Your estate consists of everything you own – your home, real estate, furniture, personal property, vehicles, bank accounts, life insurance, and retirement accounts. Being prepared and controlling how and to whom your estate is given when you die, or become incapacitated is something all adults need to do. Our clients ranges from young families just starting out, to individuals with complex, high value estates. To ensure that your wishes are carried out the way you want, you need to provide a set of written instructions. At Spinner Law Firm, for over a decade we’ve been helping families develop provisions to determine who will inherit their assets, care for their minor children, and handle their affairs at death. We can help you manage your assets while you are alive, protect your assets in the event you fall ill, and provide for the care and support of your family after you are gone. We prepare a full line of estate plan documents and after death, we assist individuals and families with Probate, and Trust Administration. We will meet with you for a complementary, no obligation initial consultation to assess your situation and develop a proposed plan of action. 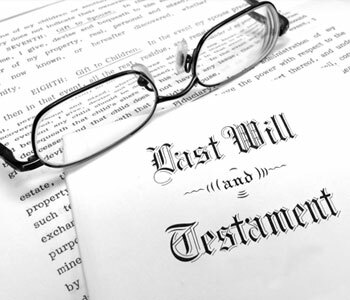 Our professional estate planning services are affordable and quoted at your initial meeting. If you decide to retain our services, we typically collect half of the flat fee at the commencement and the remainder is due at the completion of your plan, after you have approved and signed off on your estate documents. There is fully disclosure and no hidden costs. We serve clients throughout the Tampa Bay area from our state of the art legal facility in Wesley Chapel. For your convenience, we are located right off of I-75 and our office is handicapped accessible. To schedule a free, no obligation consultation, we invite you to call us at 813-991-5099.